I’m going to put this out there. I think I’ve found the one. The perfect leather jacket. The leather jacket of my dreams. I have a green leather jacket from Zara which is around 7 years old now, it’s working the distressed look, but what I’m missing is a classic, soft leather black one. A masculine boxy fit with slim arms and a front popper pocket. 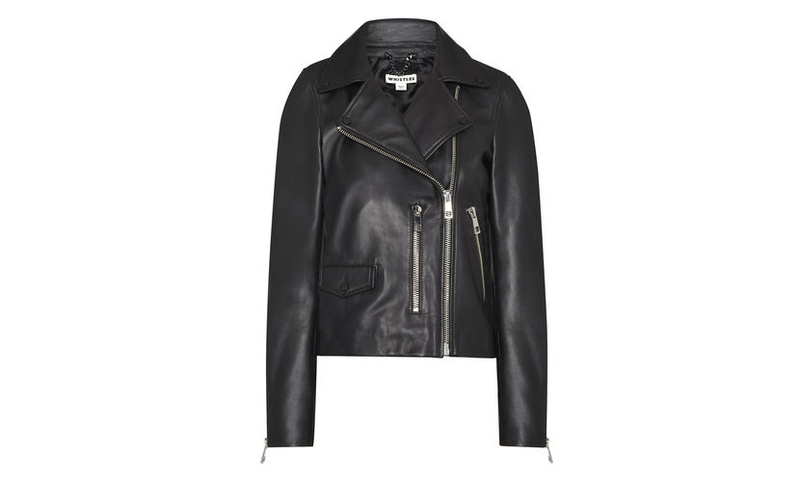 Thank you Whistles, for bringing me the Agnes Leather Biker Jacket.